I develop loss prevention "programs". These are designed to deter, detect, or defend the loss of company assets. I put programs in quotations because in most cases, most (if not all) of the essential elements of asset protection are already in place. There may be some comfort in having everything compiled under one topic but the truth is that if policy and procedure were conducted as envisioned, the effect would be the same. With that said I am listing 10 areas that are generic to all businesses that can assist in closing some potential gaps that would allow employees to steal. There is ample research that shows that happy work place is a theft free workplace. The person one sees at the office is the complex result of an entire lifetime of their environment and morals. It would be naive to think that everyone is 100% honest, 100% of the time and people are not likely to outwardly show any dishonest tendencies. The three factors of theft, need, opportunity and justification, hold true universally and we tend to judge others by our personal standards. What motivates and is justification for one person would pale in comparison for someone else. Opportunity is always the key factor. Removing that opportunity through monitoring and consistent handling is the best way to prevent theft. 1. Preemployment screening. Enough cannot be said about hiring quality employees. However, as you are reviewing their resume or application remember that nearly one third of all resumes and applications contain inaccurate information. This could be embellishing their experience, adjusting their dates of employment to appear to have been employed regularly, or leaving blank questions regarding criminal convictions. Why there are gaps in employment? Were they unemployed or hospitalized or were they in jail during that time? Why do they only list the year of employment and not, at least, the month? Look at the SSN to determine if the issuing state is reasonable. These numbers can be checked on-line to determine where they were issued. If the application says they are life-long resident of California, why would they have a Florida issued Social Security number? Does the education seem reasonable? Did they graduate around the age of 18? Did they go straight into college? If not, there should be employment history for that time. Are all of the previous employers no longer in businesses? This is either a run of bad luck or an attempt to prevent reference checking. Criminal Background checks are essential in today's workplace. Access to convictions is available through so many public and private entities that to not conduct one may be considered negligent if this was not determined and that same employee committed a criminal act. Hiring someone with the full knowledge that they do have convictions is an extremely high risk. Many companies ask only for felony convictions to be disclosed on their applications. This too, is a risky practice. Misdemeanor crimes such as carrying a concealed weapon, assault, stalking and some narcotic offenses are pertinent to your company. A company is entitled to know of all convictions as an adult. Lastly, suspended sentences and deferred adjudication ARE convictions. They are a form of probation that required a guilty plea. To make this clear to applicants, a statement should be included on the application that these types of sentences must also be disclosed. Keep in mind it will be rare for someone to openly disclose a conviction therefore an outside verification is needed. A final recommended method is to consider "paper and pencil" honesty surveys. They are actually done either on paper or via computer but the concept and results are the same. These are simply questionnaires that probe the applicant's attitudes towards honesty and ethics. They ask questions such as "If you saw a co-worker steal something, you would..." and then there are multiple choice answers. They also ask drug and alcohol related questions such regarding having used drugs at work or coming to work under the influence. There is also usually a section where questions are asked if they have ever stolen from an employer and how much. Astounding as it may seem, many answer yes. In fact the results of the survey have a history of not recommending 30% of those taking them. While there is cost associated with this, the value is very high as the cost of training and turnover is greatly reduced. 2. Employee parking. Consider your employee parking area as a point of concern from both a security and safety perspective. We all like to get that parking space closest to the store at the mall but for most businesses, those parking spaces are reserved for clientele. There should be a designated parking area for all personnel and that area should be beyond the normal client/customer parking. The reason for this is easy: A thief has a reduced exposure if their car is parked closely. Never allow employees to park close to the entrance/exit. Have a designated parking area for them (regardless of the weather). Do not allow them to park next to loading docks or trash dumpsters. Don't allow "I forgot my badge" to be a free pass to park anywhere. Have a procedure in place to get them where they need to be and back that up with a counseling program to ensure it won't happen in the future. Encourage employees to leave the building together to reduce exposure to criminal acts while walking to their car. 3. Training and Awareness. The importance of training cannot be overstated but the varied methods and the materials make it difficult to define the best practices here. When someone if first hired the amount of paperwork required is enormous. Sometimes mixed in with the employment papers are company policies that require signature. To ensure that the new hire understands the importance of these sign off acknowledgements, time should be set aside that is dedicated to only those documents. At the very least, a new hire should acknowledge through signature that they have read and understand policy. On the practical side, it would be best that specific policies that are pertinent to the employee be presented upon hiring. Those policies and procedures that, if violated, result in immediate termination are also good candidates for the new hire package. "Training" to whatever extent it is (classroom, OJT, video, Computer Based) is not truly effective unless there is some means to verify the person's level of understanding of the material. The argument cannot be made that because they were there and did not ask any questions about the material that they comprehended the subject matter. For many companies, initial training/orientation is the sum total of all personnel policies and procedures. Changes are distributed through company mail, email, or conference calls. It is important that all employees have some means of being informed of significant policy changes. When it comes to prevention of employee theft, awareness is the best ongoing tool. Awareness is simply reminding employees that the company monitors for this type of activity because it is a profit drain. There are many ways to approach awareness. The use of posters is probably most common and there are many companies that design generic versions. Meetings about inventory control, shrink, operating statements etc, are good platforms to openly discuss the results of internal theft. I saw a handwritten sign over a time clock in a grocery store that said "If you get caught stealing, you're going to jail." I do not recommend this approach and certainly think it sends the wrong message by saying "if you get caught". Now it almost seems like a challenge. The message should be about losses in general and some method of confidential communication should be in place so anyone can provide tips on suspicious behavior. 4. Access Control. This is a simple objective that increases in complexity the larger the company. This subject concerns two specific areas: access by employees and access by non employees that is granted by employees. J. Patrick Murphy has over 35 years of experience in Law Enforcement, Security Management, and Corporate Loss Prevention. Mr. Murphy's background as a Fortune 50 company security director provides a strategic view of operations, security planning, and liability. 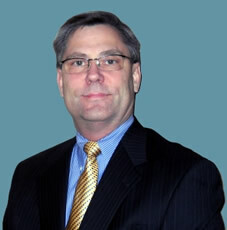 His continuing education in the area of security case law and his unique approach to investigating cases make him a valuable Security Expert Witness to any litigation team. His hands on approach and advice during the discovery phase of the case can often be pivotal in determining the ultimate outcome.